There are a number of medical conditions that can result in swollen feet. 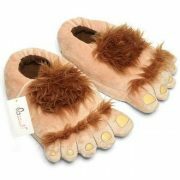 Finding shoes or slippers that will accommodate men with swollen feet can make those hours at home much more comfortable. 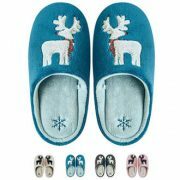 So, here is a look at some of the best slippers for swollen feet for men. 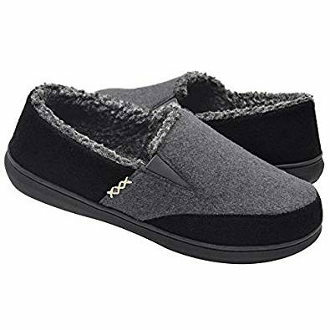 These extra depth wool slippers by Foamtreads feature Velcro straps on each side and at the heel which allows you to easily adjust them for a better fit, especially for those people whose feet have a tendency to swell from time to time. They also feature hook and loop closure, heel to toe padding and a non-marking sole. 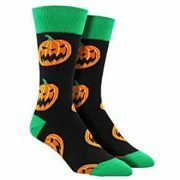 They come in three great colors black, charcoal as well as navy and are machine washable. Users really like that they are easy to get on and off, and adjust nicely for people with swollen feet. The Velcro straps actually help them to be a better fit. 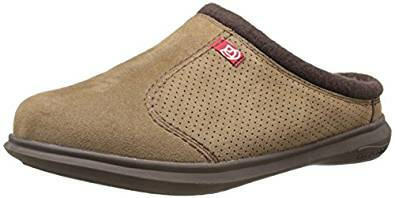 These Propet Men’s Cush N Foot Slippers come in 5 different colors and are adjustable making them perfect for men who have difficulty with swelling feet. 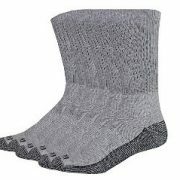 In addition, they do have some arch support and consist of a textile upper and a synthetic sole. 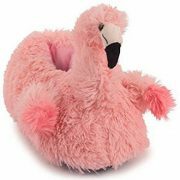 People who have purchased these stretchable slippers like the fact that they adjust well to swelling feet and are comfortable for people who have a variety of foot issues. They are also easy to put on and users really like that they have thick soles and look good. The 3 way adjustable straps is the main reason for men who have problems with swollen feet to purchase these Foamtreads slippers. They feature a textile upper and a synthetic sole and are made from wool blend with an anti-bacterial footbed and a non-marking rubber sole. They are available in 4 different shades of gray. 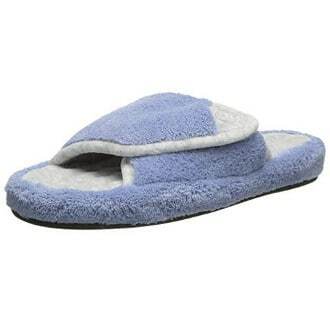 Users find these adjustable slippers to be great for men who have problems with swelling feet. They are well made and easy to put on and take off. They also offer good support. 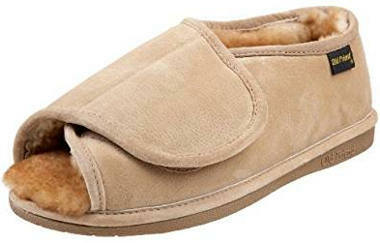 These Men’s Step-In Open Toe Slippers are made of a leather upper and a rubber sole with a 100% sheepskin lining. 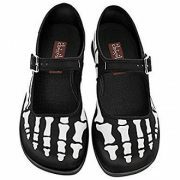 They have a Velcro closure and a top that wraps around the top of the foot. 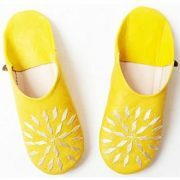 Users like the fact that you adjust the width of this slipper and you can wear it out of doors as well. 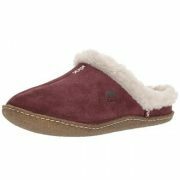 The sheepskin lining is ultra-soft and this footwear is somewhat adjustable and won’t cut into your feet if they swell. 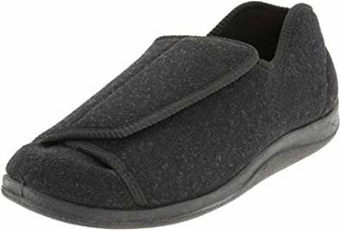 Apart from the fact that these orthopedic men’s slippers feature an orthotic insole with air cushioning as well as anatomical arch support and padding with foam, they have a wide toe box which eliminates pressure and can therefore be a feature worthwhile thinking about if you suffer from swollen feet. The interior lining is seam free and the padding offers great comfort while also protecting sensitive feet for people suffering from a number of medical conditions and health issues such as diabetes, heel or arch and knee pain, bunions, hammer toes, plantar fasciitis and more. Finally, this product gets top ratings and excellent user reviews. 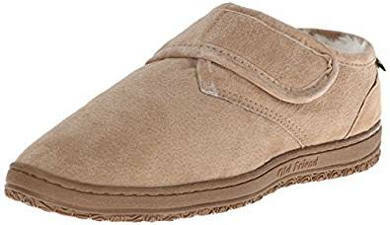 These Old Friend Men’s Adjustable Strap Slippers, which come in shades of tan or chestnut, feature a leather upper and a synthetic sole with a shearling lining and removable insoles. Users like that the Velcro strap allows you to adjust the slippers to swelling feet and find them to be comfortable and extremely durable. They can be washed and worn out of doors as well. Best of all, they look a lot like real shoes so you can wear them on days your feet are swollen. 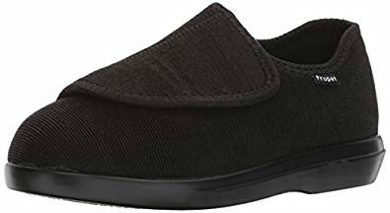 Spenco men’s slide slipper features orthotic arch support, a metatarsal dome for alleviating forefoot pressure, a deep heel, a contoured footbed and a sturdy outsole. 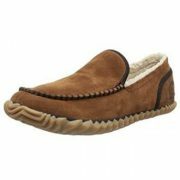 The upper is made of suede and the outsole is EVA rubber while the lining is synthetic shearling. The above characteristics provide an adequate amount of comfort to people who need to deal with foot pain. 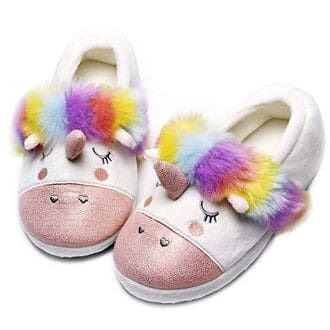 Although, these supportive slippers do not mainly target swollen feet, they can offer comfort to swollen feet but only if you go for larger sizes especially since, according to some users’ reviews, they do tend to run small. 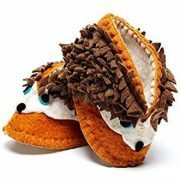 These men’s therapeutic slippers by Dr. Comfort are recommended by the company for swollen feet since they are extra deep. Another positive feature is that they have a gel insole that provides some cushion and the outsole is slip-resistant. 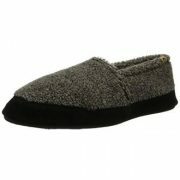 The upper is made of brushed microfiber while the lining is fleece and the outsole is rubber. 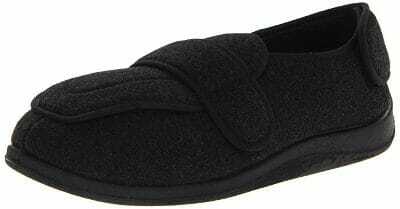 The fact that these are very wide slippers makes them perfect for men with swollen feet as well as diabetic feet. Users also review that they are sturdy and well made. 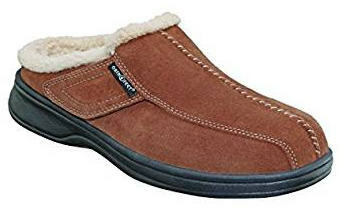 These boot slippers for men are an extra wide fit and feature adjustable Velcro straps at the front as well as at the back, which makes them good for wide or swollen feet. In addition, the outsole is rubber for a good grip. 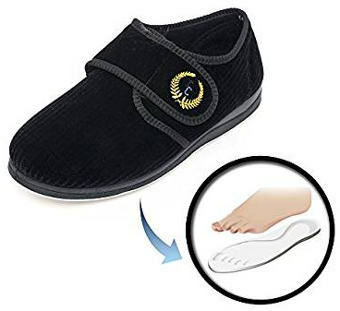 Although there are not that many reviews about this product, people who have purchased it say that it works great for people with swollen feet and ankles. The bottom may feel slightly hard for some users, but overall the majority of them say that this shoe feels comfy. 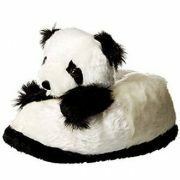 These wide slippers are recommended for edema sufferers. They feature a memory foam insole, Velcro adjustable closure and a durable outsole with traction. 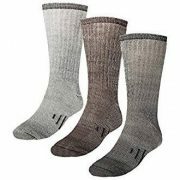 They are also lightweight and machine washable. 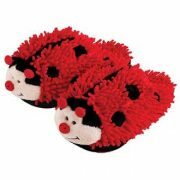 Users’ reviews are mixed as to whether these slippers shoes are good enough for swollen feet. While there are users who say that they work fine for swollen feet, others do not find them wide enough. The majority of users, though, feel that they are nice and comfy. 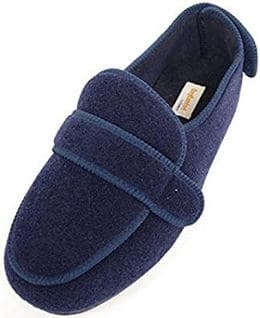 All in all, if you suffer from a medical condition that makes your feet swell or just have very wide feet and you generally like roomy slippers, the best slippers for swollen feet for men in this review should have offered you some useful recommendations.